But the trend is so much more than that now. 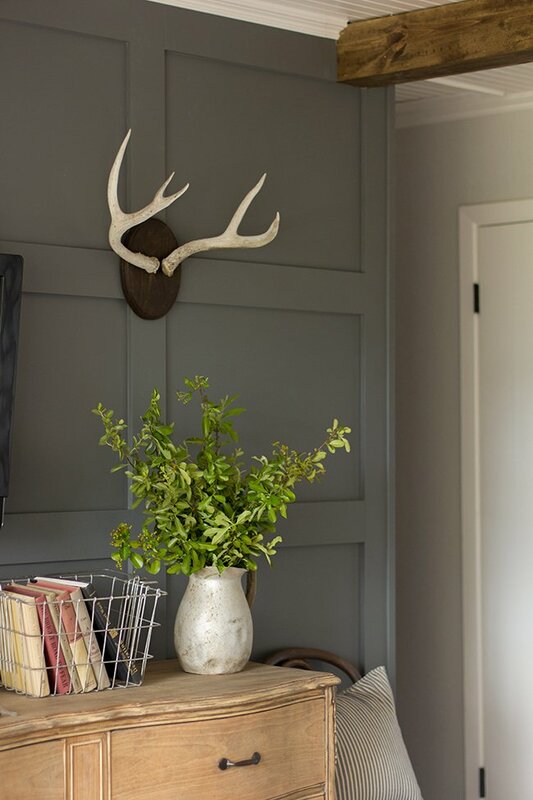 Adding a antlers to your wall or a display doesn't have to be dark and manly. 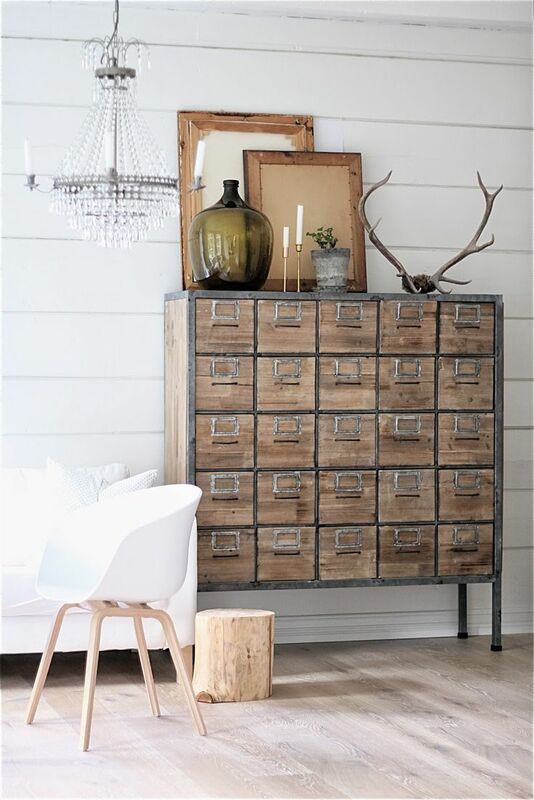 It is simply a rustic type of decor that can actually add interest to your room. So many of my favorite bloggers seem to be embracing this look in different ways and finding ways to personalize them for their own style and space. 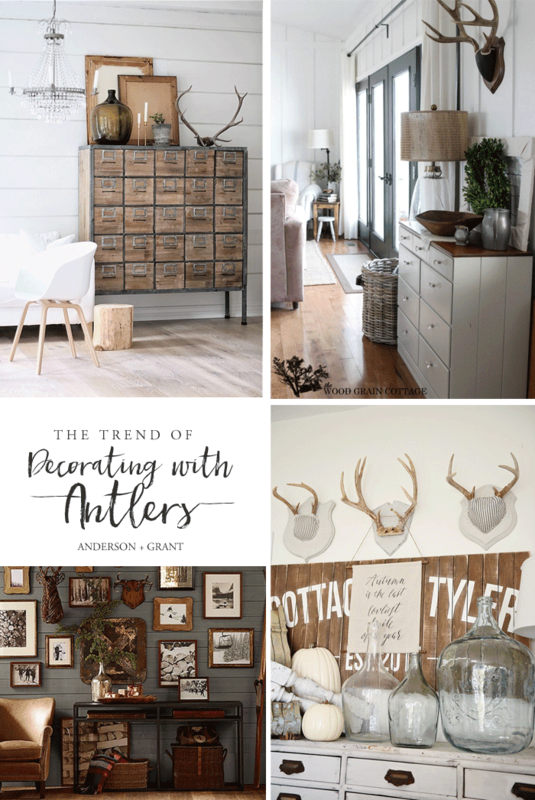 Shayna from The Wood Grain Cottage has found a way to make deer antlers look very natural and even cozy in her neutral farmhouse style decor. It is times like this that make me reconsider my lack of interest in this decorating trend. I can almost envision enjoying something like this in my own home. I really like this gallery wall look from Pottery Barn that enhances the mounted antlers and a faux deer head with some beautiful black and white photography. This is a great rustic look for the winter and a way to include some of your favorite images to enjoy for the season. There are even realistic looking DIY versions if you are unable to find your own antlers in the woods or at a flea market. I've gathered together a collection of some of the images that I've pinned and was wondering what your thoughts were on this home decor trend. 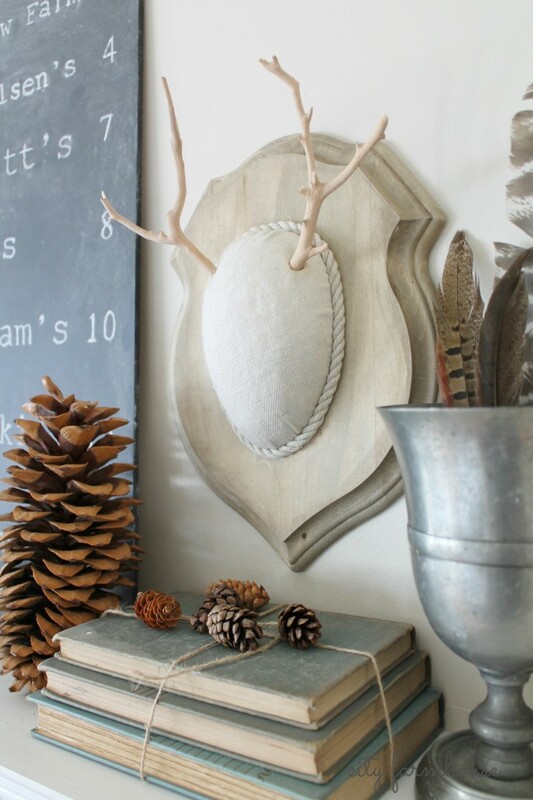 Are antlers something that you currently decorating with or are thinking about using in your home? Or is this look best saved for a rustic man cave in the basement?